Is planning the perfect family vacation on your to-do list? If you're looking to leave your same-old, same-old behind to travel and explore someplace new and exciting, Myrtle Beach can be that area for you and your family. With a variety of attractions, it’s great for groups or quiet romantic getaways. 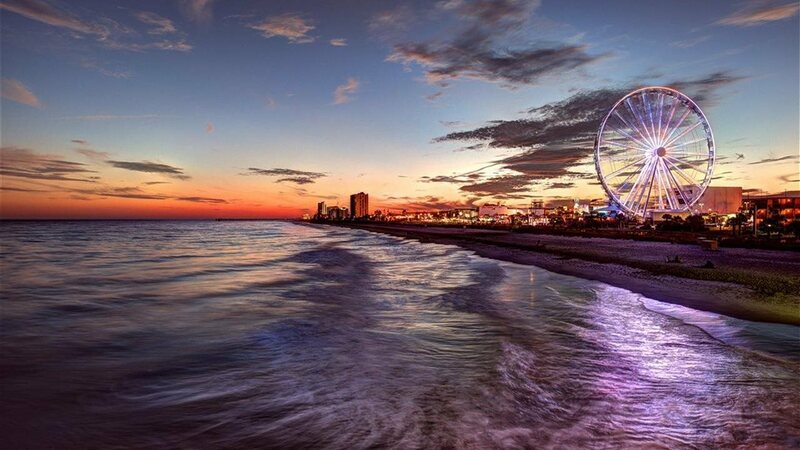 Here are four reasons Myrtle Beach delivers immediate fun and long-lasting memories. * Something for everyone. No matter where you go, you should pick a destination that works for your entire group and allows everyone to enjoy the best vacation possible. Myrtle Beach, for example, has numerous activities and attractions that deliver something for everyone. If you are coming with your family, plan a fun-filled vacation with visits to Ripley's Aquarium, the Carolina Opry or Broadway at the Beach. And if your trip is more about celebrating a specific milestone, be it a birthday or anniversary, there’s no better place to do it than atop the SkyWheel. Soaring to the top of one of the nation’s tallest Ferris wheels will give you a whole new outlook on, well, everything. * Beyond the beach. The Myrtle Beach area is well known for its 60 miles of pristine beaches but there's also plenty more to do beyond the beach. The area offers numerous outdoor activities and quiet spaces waiting to be explored, including Brookgreen Gardens, Huntington and Myrtle Beach State Parks — and the famous Myrtle Beach Boardwalk. * Tremendous value. It is always good to find value in your travels whenever possible. Myrtle Beach offers lodging and attractions for every budget level, allowing you to plan the trip that matches your goals and your bottom line. Look for lodging and package deals throughout the year. There’s no time like the present to start planning your vacation. Explore somewhere new and exciting this year. To learn more about what you can see and do in Myrtle Beach, visit www.visitmyrtlebeach.com.